Whiteboard animations are popular tools for marketing. 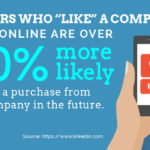 Businesses that employ them attract a much larger audience than those who have not embraced any form of video marketing. People have a fondness for animations, and these productions yield a high engagement rate. 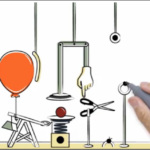 Here are a few reasons why whiteboard animation videos attract so many viewers. Whiteboard animations tend to be short and sweet. They are laser focused, meaning that they target a specific audience for a specific purpose. Viewers appreciate a production that gets to the point quickly, and entertains them in the process. Most whiteboard animations are no longer than 3-5 minutes. This is the average time a viewer is willing to pay attention and engage with a video. Some whiteboard animations are quite hilarious. People connect with businesses they feel they can relate to, and there are few better ways to break the ice and be memorable than making someone smile and laugh. The more laughs, the better, as long as your original message remains clear and concise. There’s something about animated characters that resonates with viewers. They’re easy to relate to, and you can use them to present stories and situations that may be awkward for humans to carry out. With the right script, these characters can evoke emotion, and create a positive experience centered around your brand. In addition to entertaining your audience with humor, you can use these videos to tell a story. Most people love a good story, and this is the opportunity to explain how your company got started, how you developed a product, or what drives you as an owner. What makes storytelling so engaging is that people can often see themselves in the same situations, and this helps them connect with a brand. Videos are the most shared content on social media. They’re easy to link to, and often require less time to watch than it would to read an article. They can be posted on a website, or on a video sharing platform like YouTube or vimeo. Using whiteboard animations to further your reach with marketing is not only smart, but absolutely necessary if you want to attract the right customers. It’s a tool to be reckoned with, and with the demand in video marketing, it will only increase in popularity and necessity in the coming years.